As moms, we love feeling victorious over life’s little daily frustrations. Two-tier and three-tier trays are a mom’s best friend for tackling clutter. 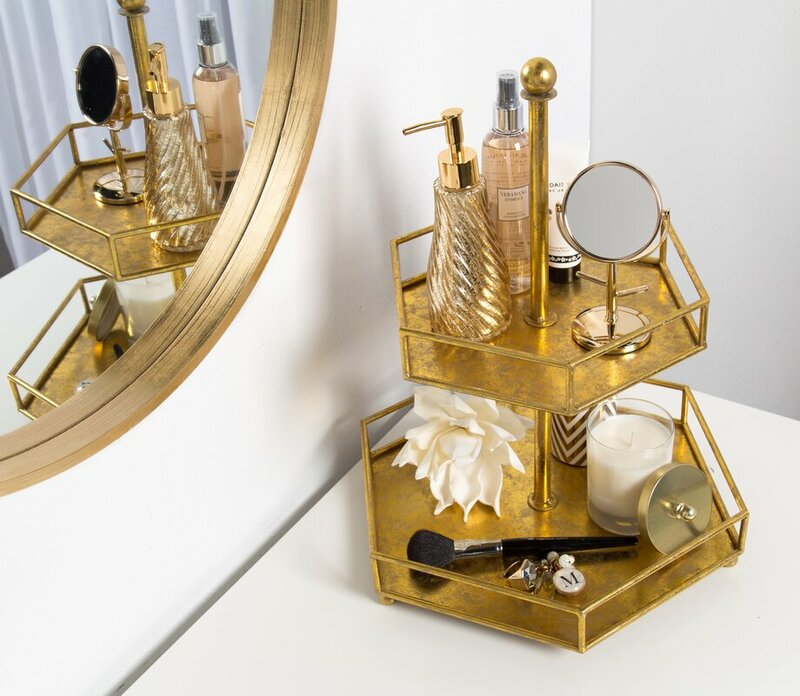 The tried and true tiered tray is a simple but miraculous invention of space management. With the ingenuity of a skyscraper and the efficiency of bunk beds, these clever trays allow us to stack and sort vertically! Just like the best home decor items, tiered trays come in every material and style to match your home’s decor. Like farmhouse charm? Aspire to modern minimalism? Eclectic character ring your bell? Excellent. 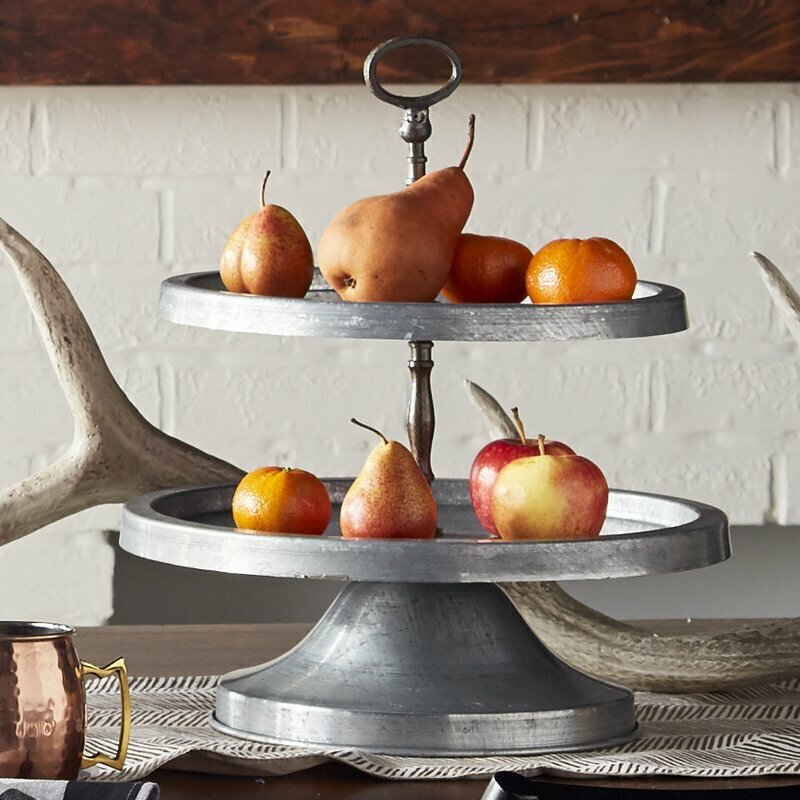 We’ve rounded up a collection of our favorite tiered trays in all those styles and more. 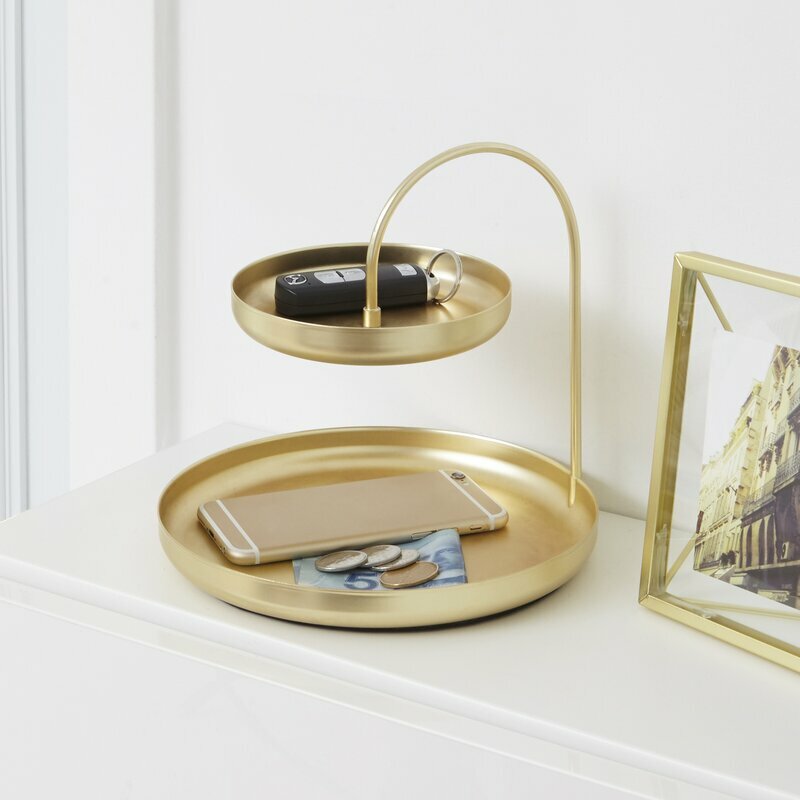 These trays are sure to give you a leg up on your daily tasks and make organizing your home easier. Whether it’s on the breakfast table or the countertop, a tiered tray will be used daily in your kitchen. Besides keeping fresh fruits and veggies close at an arm’s reach, these trays can sort mail, hold napkins, and showcase small pots of herbs. Be sure to keep fruit, breakfast bars, and mini bottles of water available for a quick breakfast on the go. Here’s one of our favorite tiered trays. You can easily style this to fit any decor, and the wine theme is on point when you want to double its functionality. Use this at your next party for your beverage station! What better way to fuel your family than with fresh vegetables from your garden? 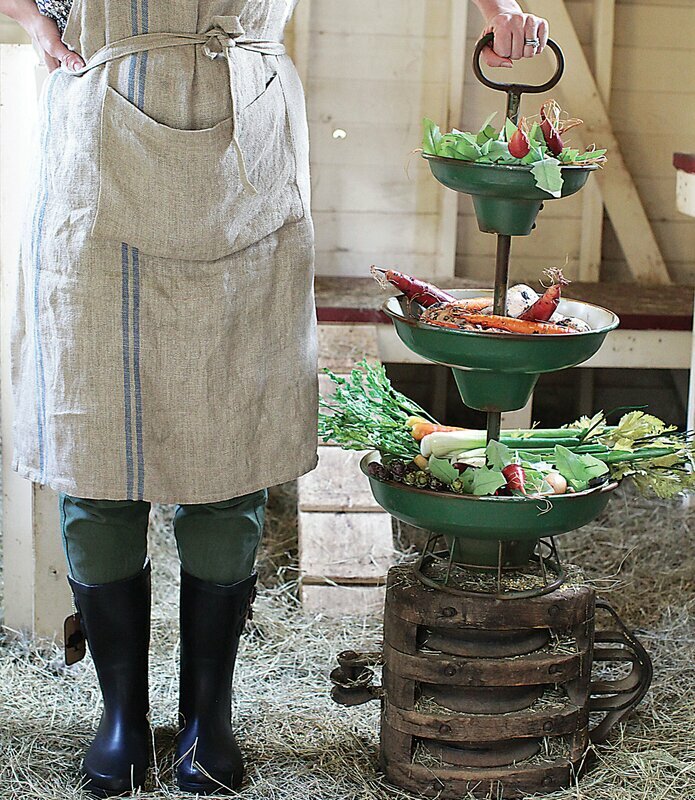 Or unbag your store-bought veggies and arrange them in your tiered tray. 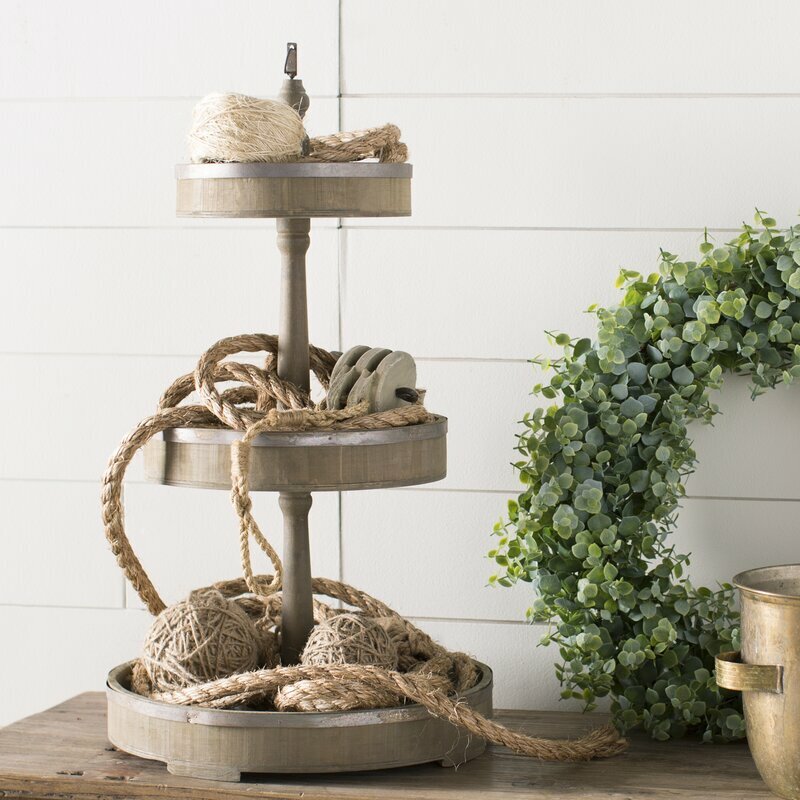 Either way, we love this reclaimed-barn-lamp-style tiered tray in rustic green metal. A shorter tiered tray might be nice so you can talk to your family across the table. Or, if you are hosting an elegant brunch you might opt for a tall, multi-level, tiered tray to feature delicious pastries. How fabulous would it be to have a beautiful and functional tiered tray that acted like a piece of furniture? Place a tall stand like this one in a corner and you instantly have extra storage. Dishes and serving pieces are close at hand and easy to change out depending on your needs. By the way, this would work well in a bathroom, kids’ playroom, or a sunroom as a plant stand. I have a memory of my grandmother having a mirrored tray on her dressing table that held all her most interesting jewelry, lipsticks, and perfume. 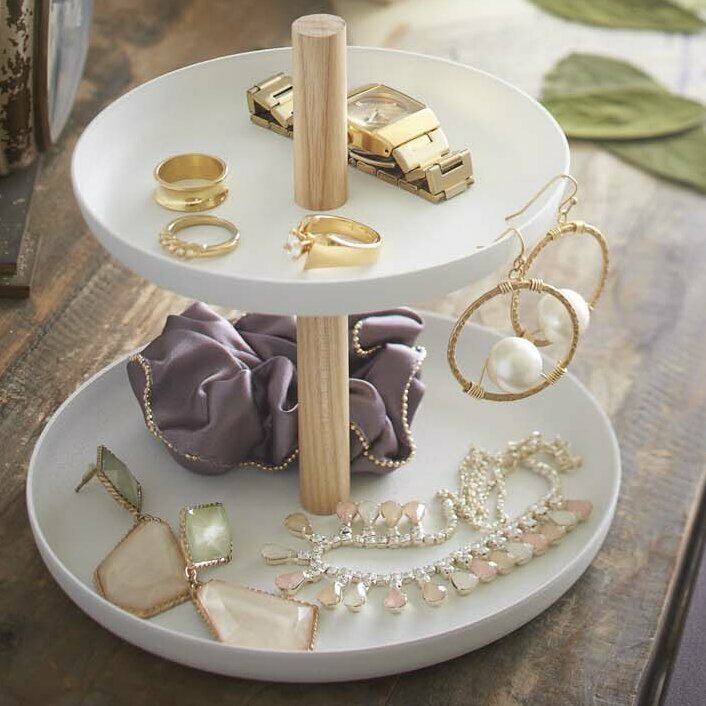 No matter what items you put on or take off as you start and end your day, a lovely tiered tray will make getting dressed an enjoyable event. Corral your necklaces, watches, and rings that you wear each day so you can quickly see what you need. We like this simple, petite, minimalist version with clean white trays and honest wood dowel. Always know where your keys and phone are with a tiered tray on your entry table. 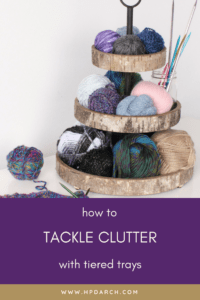 Reduce clutter and simplify getting out the door in the morning. That’s a two-for-one bonus and we’ll take it. There’s just something about seeing my craft supplies that makes me feel creative and happy even if I don’t have time to sit down and create each day. 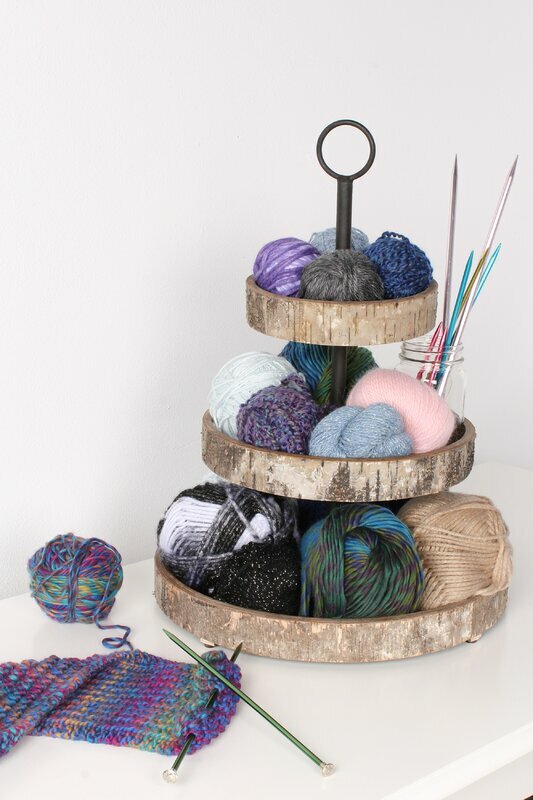 Organizing and displaying your favorite yarns, fabrics, threads or paints in a tiered tray may bring you a bit of happiness. And who doesn’t need more of that? There are times during the year when we want to decorate for the seasons or holidays. Tiered trays are a wonderful way to dress up a table centerpiece, give some height and interest to a sofa table, or add a unique touch to a fireplace mantle. Keep your decorations confined to the trays so they don’t take over your work surface or overwhelm the rest of your furniture. Are you as in love with these tiered trays as we are? Let us know in the comments below if you have a tiered tray and what you use it for. If you need more ideas, feel free to contact us or give us a call at 214.751.2304.